R/C system and servo enhance dynamic brushless motor performance with the latest control technology! The convenience of 1/10 scale mixes with 1/8 scale performance levels in the DBX VE 2.0, and is now equipped with the latest in R/C control technology. Precision detailed setting is possible through throttle end-point adjustment for accelerator and brake, and steering dual-rate adjustment for steering angle that augments the standard throttle and steering trim on the included 2.4GHz Syncro KT-231P transmitter. Linear steering feel is delivered by the new torque-type KS4031-06W steering servo that resists kickback from the road surface. In addition to superior control, the new DBX VE 2.0 is equipped with a colourful printed body with white motif and high-vis neon yellow wheels that light up the track. The formidable chassis features aluminium parts anodized in signature gun metallic and is equipped with the Team ORION power source of the former model. 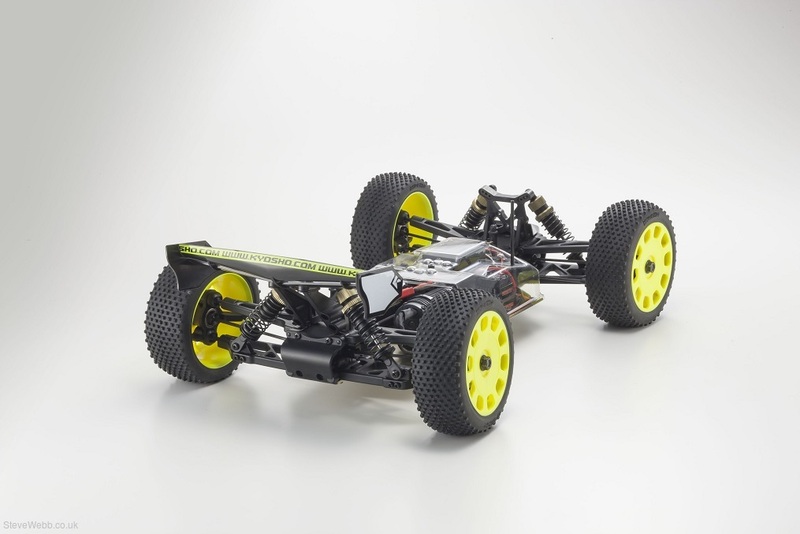 1/8 scale racing buggy tyres combine with long wheelbase and wide tread to deliver excellent stability to extract the full power of the brushless motor under any conditions. Gun metallic anodized aluminium parts create a formidable racing style. 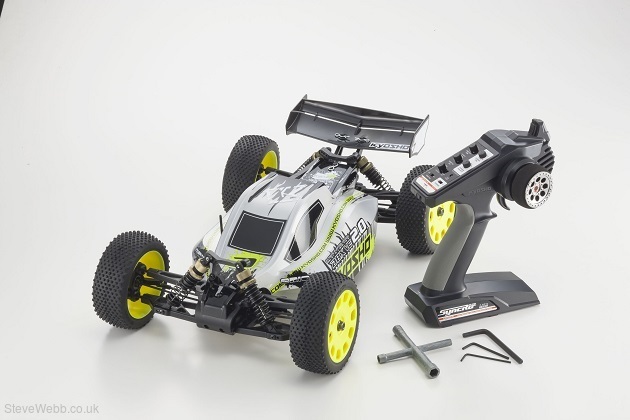 Compatible with a wide variety of 1/8 racing buggy tyres and wheels. Equipped with servo saver to protect servo from crash impact. Team Orion VORTEX R10 Sports features auto-cut function when overheating or low voltage situation occurs. Large size center shaft and swing shafts on each wheel deliver high rigidity and strength. Precision setting of chassis height, camber, tread and toe angle can be made. Gear ratio optimized for 1/8 racing buggy wheels & tyres.